Yesterday the world learned that Barbara Bush, the wife of President George H. W. Bush, passed away on April 17th at the age of 92. Bush was the first lady of the United States between 1989 and 1993, and this year, she and her husband celebrated their 73rd wedding anniversary. 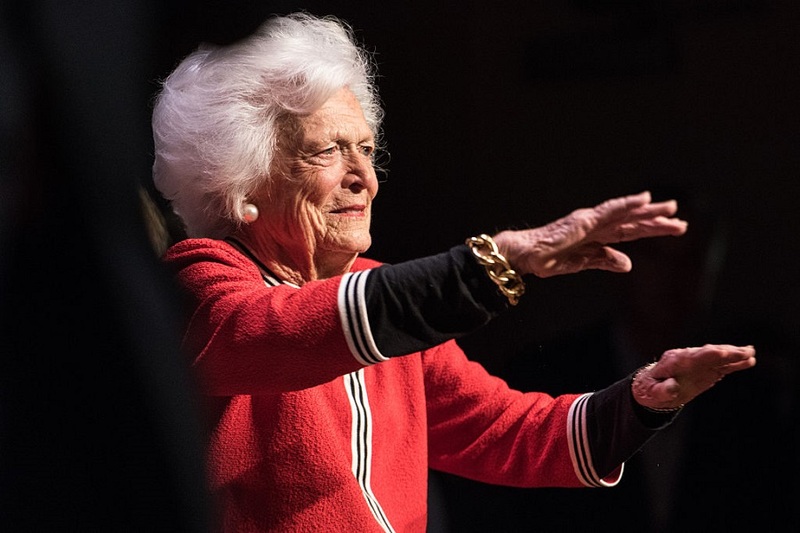 And while most people know Barbara Bush for her first lady status, many don’t know that she was considered a strong, determined, and witty woman in her own right. And while a number of her quotes have been making the rounds today, one Barbara Bush quote in particular is being shared far and wide — and it may make you rethink your day. The quote is all about family, and comes from the commencement speech she made at Wellesley College in 1990. Today shared it on Facebook, and it’s getting a lot of attention. These words of wisdom from Barbara Bush's 1990 commencement address at Wellesley still ring true. Rest in peace. While we’d be remiss if we didn’t mention the fact that specifically saying “husbands” to a group of all-women graduates is distinctly heteronormative, the general point is clear. Time spent with a significant other, loved one, or just the people you really love and enjoy is important. Life is short, and at the end of the day it’s the people around you that make everything worth it. This is a great reminder for the day — and every day — to take a beat, slow down, and make time for the people we love.